This July PUNCH gallery is sending work to Nashville, TN as we trade places with an artist collective called COOP from the Volunteer State. 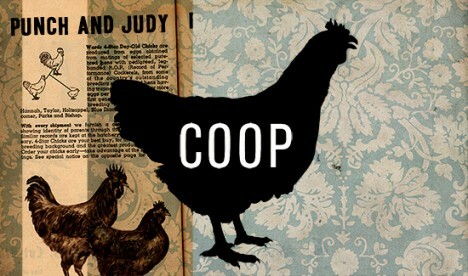 While they are exhibiting work in Nashville, COOP will be presenting work of their own at PUNCH, in Seattle. Gathered loosely under the title Punch and Judy, the works of this exhibition showcase a time and place where semiotic signs collide with physical theater. The result being a fresh and surprising survey of mixed-media works, ranging from painting and sculpture, to photo-based work and site-specific installations, and be sure not to miss the clown smile taxonomy drawings.